Leprosy was once a terrible scourge. Our tradition interprets it on two levels – literal and metaphorical. The rabbis said in the Talmud, “Leprosy comes because of evil talk and slander” (Eruchin 16b). If we examine some Biblical examples, we find that time after time leprosy was indeed associated with moral turpitude. Miriam slandered her brother and was immediately punished with leprosy. Naaman, the Syrian general, was already suffering from the disease and was told by Elisha to bathe in the Jordan, which taught him humility. 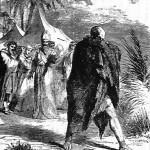 Elisha’s servant Gehazi rebuked his master for not accepting payment for his advice and because of his impertinence was stricken with the disease from which Naaman was cured. A king of Judah named Uzziah had become puffed up with arrogance and argued with the Temple priests when he interfered with the sacred service; he became a leper until the day of his death. 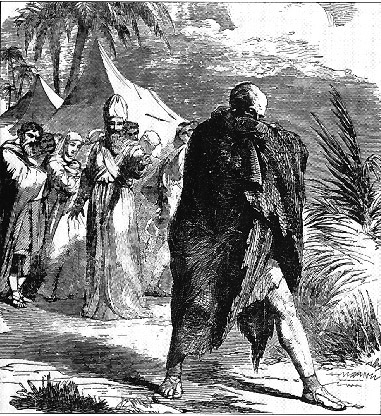 The sages were certain that these Biblical lepers had to be stricken with serious consequences to teach the people a lesson in how to conduct themselves. In relation to Uzziah the Tanach (II Chronicles 26) says that because of his sin “he dwelt in a house set apart” – which warns us that if a person becomes impossible to live with, he can no longer remain a member of normal society.